Give us a G, a G-string that is. Yes it is a male g-string, Thongs for men continue to be incredibly popular. If you want minimal coverage from your underwear but are still looking for that bit of support then you have come to the right place. It doesn't get much more minimal than a Joe Snyder G-string. With a classic t shape at the rear with a fine string around the waist and between your bum cheeks you will be pretty much bearing all at the back. The pouch is going to give you just enough support too ensure that your manhood stays in place and comfortable throughout the day with a gentle cupping that comes from the pouch design. 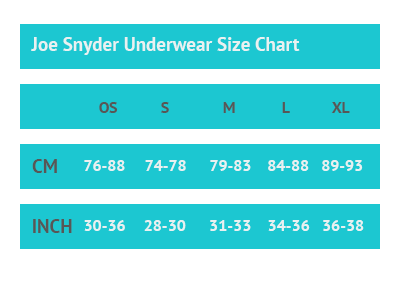 The Joe Snyder G-String only comes in one size and will stretch to fit most body types as it is made from a blend of Nylon and Spandex hyper-stretch that will accommodate most body types. It comes in a wide variety of colours as well as coming in a lace variant and mesh variant if you are looking for something even more risqué. There are four types of black, as already mentioned a lace and mesh black as well a metal black that has a metallic sheen to it and a standard solid black. The fabric is 80% nylon together with 20% spandex, giving you the ideal amount of stretch and supportive fit. Whether it is for everyday wear or for that special evening, you can now experience the g-string of your dreams and can stop worrying about how you will get those extra tight jeans on over your underwear.